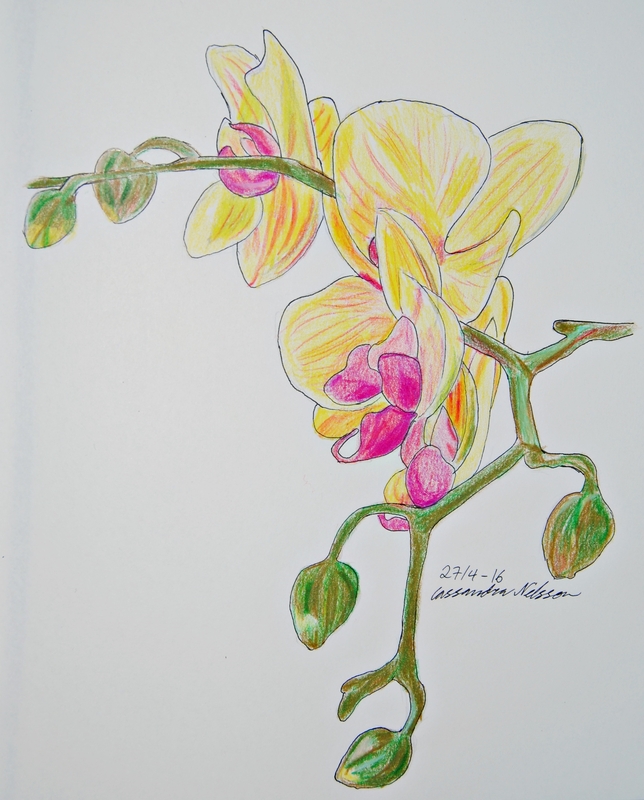 My favourite flower is probably orchids, and my Phalenopsis was blossoming beautifully back when I drew this. I think the bottom part with the buds are probably the part that I think turned out most nicely. The colouring ended up really well.